Mere Ambles, Ellesmere offer short informal weekly walks around Ellesmere. Walks are on Wednesdays and leave the Wharf at 10am prompt. They are led by trained Walk Leaders. Programmes of walks, including routes, are available from the Ellesmere Medical Centre and Ellesmere Library. The walks are suitable for all ages, abilities and are great for getting healthy and fit. 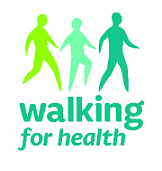 Information about Walking for Health groups in Shropshire. Walking for Health Initiative aims to get more people walking in their communities. Follow Walking for Health on Facebook. Follow Walking for Health on Twitter.